Dr. Jessica Huerta is board certified in Family Medicine and Sports Medicine. A native Texan, Dr. Huerta grew up in San Antonio and then graduated from Baylor University in Waco. She attended the University of North Texas Health Science Center in Fort Worth for both graduate school and medical school. 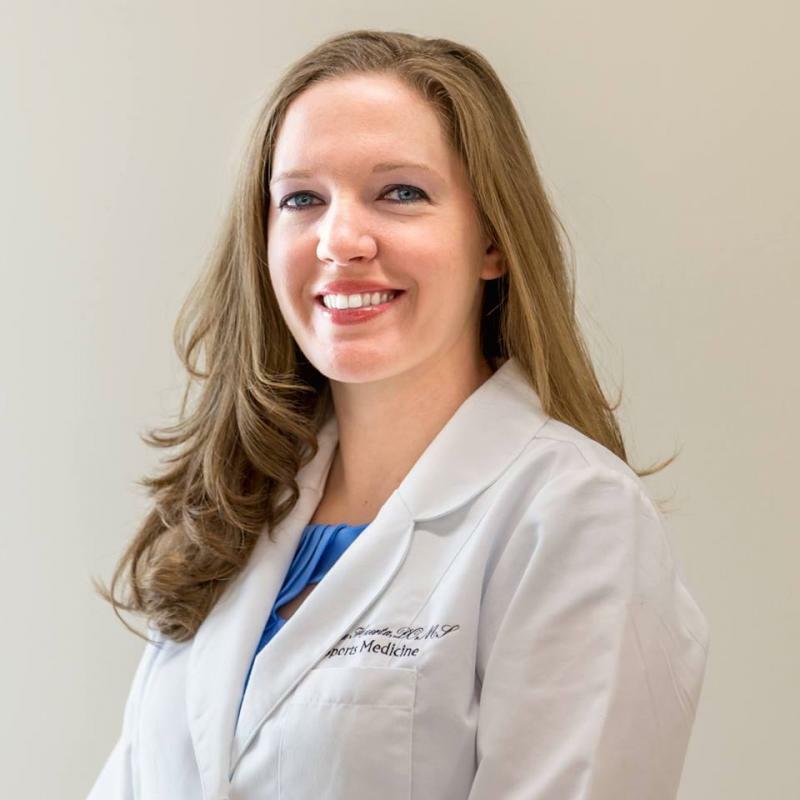 She earned her Doctor of Osteopathic Medicine from UNT’s Texas College of Osteopathic Medicine in 2010. For family medicine residency she chose the program at Methodist Charlton in Dallas, where she served as Chief Resident in her final year. To further her training, Dr. Huerta completed a fellowship at Lake Erie College of Osteopathic Medicine in Erie, PA for Sports Medicine. There she covered D1 collegiate teams, the Erie Otters OHL team and Erie Bayhawks NBA D league. Here she also gained skill sets in ultrasound evaluation and injection guidance, sports injury evaluation and treatment, and PRP and other biologic injections. Dr. Huerta returned to Texas where she has practiced since 2014 and returned to the DFW area in 2016. She had the pleasure as serving as a team physician for the Dallas Rattlers (Lacrosse) and the Texas Revolution (Arena Football) prior to joining IMAP.